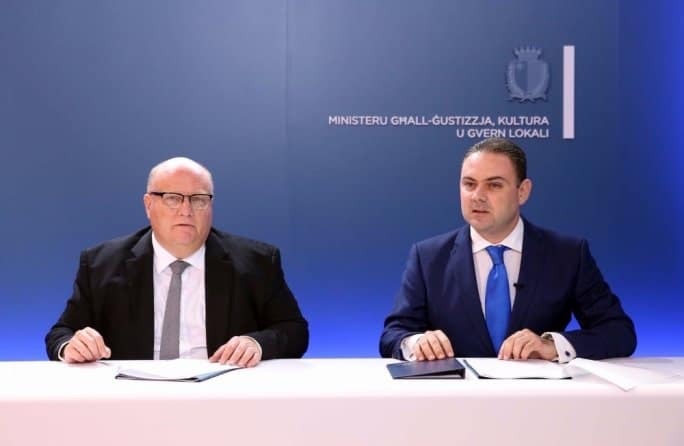 If you watched the Council of Europe session this morning you will have seen Owen Bonnici play his act again of the benevolent absorbent of any criticism cheerfully and indecently agape like a Venus flytrap. ‘We are a reformist government,’ he tells people in the audience who have written or at least read the reports after investigations in Malta and found ours is not a functioning democracy. The lies came hard and fast. ‘The Egrant Magistrate found someone framed the innocent family of the Prime Minister.’ Did it? Is that someone you have arrested or charged with a crime anytime since June last year when the report was completed or were you thinking of Jacqueline Alexander, assistant-under-secretary of the frauds department at Mossack Fonseca? ‘We have introduced new whistle-blower protection and this has been recognised by international NGO Blueprint.’ Really? Is that the same Blueprint that awarded Maria Efimova special recognition as a whistle-blower after you hounded her across borders and Greek courts prevented you from dragging her back to almost certain death? ‘We have published 5 draft laws to amend the Constitution before the summer recess?’ Did you? Is that the first readings you published with merely the headings of the bills and none of their substantive contents so we’re looking at laws we’ve had “for generations” replaced before we’ve even had time to read them? ‘We had to restore the Great Siege Memorial because flowers and candles stained it and it took 3 months to clean it because we take our memorials seriously.’ Is that so? So flowers and candles leave black oil stains now and replacing the lighting fixtures on a square amounts to restoration? ‘We’re not the only country with funny old laws. The Netherlands have a law that allows their Parliament to elect a judge?’ Do you mean a law that is currently being repealed from the Dutch statute after it’s been in disuse for over 50 years? ‘I stopped Brian Tonna’s consultancy contract with my Ministry in 2017.’ Why? Did you think he was involved in corruption when his name came up setting up companies for your colleagues in Panama? If yes why do you defend Keith Schembri and Konrad Mizzi? If no, why did you fire Brian Tonna and are cheerfully informing the Council of Europe of the fact? ‘We accept we must implement the changes of the Venice Commission but we won’t stop appointing judges of our choice before making the change.’ Is that so? So where do you really stand on the Venice Commission report? Do you agree that the present system of selecting judges amounts to a restriction on the independence of the judiciary or don’t you? If you do why not make the changes before continuing to make a bad situation worse? If you don’t, why are you making the changes? Almost every statement Owen Bonnic made needed fact checking and would prove false, misleading, disingenuous and dishonest. This is what our democracy has come down to. We wade in the sickly sweet muck of Owen Bonnici’s yawning Venus flytrap to be digested slowly by a power that would not budge. If it becomes too much we can always talk about Adrian Delia.